"New construction of Inland Vessels and repairs of Marine Vessels are carried out in the yard of West Coast Shipyard under the supervision and inspection of the Surveyors from the Captain of Ports Department. 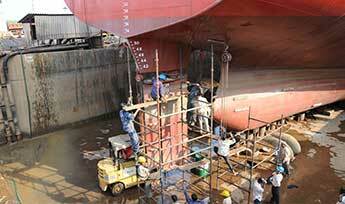 We have found that the yard maintains high standards of workmanship and shipbuilding practice." "During the course of inspections and surveys carried out by us of numerous vessels which have been repaired or serviced at the Shipyard over the last 12 years, we have found the work force always courteous, the workmanship of high standard and the delivery always in time." 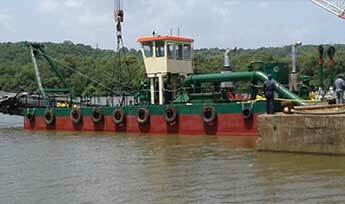 "During repairs of our fleet of barges/MBCs at yard, we have found the staff trained and experienced in the field of dry-docking and repairs of barges and other craft." Manager, G. R. Shipping Ltd.
"We have found the management and staff of West Coast Shipyard experienced, skillful and knowledgeable in their respective areas of work. 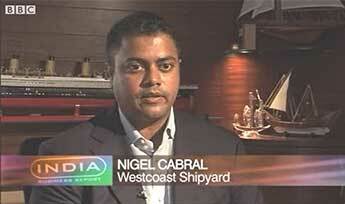 We are very satisfied with their performance in respect of repairs of Marine Vessels." 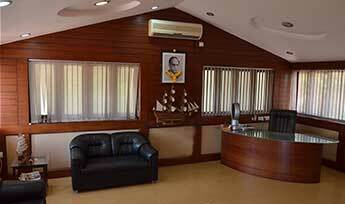 Manager, Samrat Shipping Co. Pvt. Ltd.
"Our Offshore Supply Vessel M. V. ANWESHAK, was docked at West Coast Shipyard. The Shipyard and its team of workers have done a good job, during the special survey of our Vessel. We have found them diligent and hardworking, capable of carrying out a variety of repairs"
"During repairs of our barges at the Yard, we have found their management and staff experienced, skillfu| and knowledgeable in their respectite areas of work. We are very satisfied with their performance in respect of repairs of marine Vessels." "During the course of our barge repairs at the Yard, we have found their workers duly trained and experienced in the field of repairs." © 2015 West Coast Shipyard. All Rights Reserved.